Only a couple months into 2018 and 2019 vehicles are already making headlines, forcing their way into the automotive spotlight and the minds of prospective owners. Volvo is certainly no exception and there newest addition to their lineup might just make you choose this luxury auto brand, over its competitors. In our past “Why Luxury” articles, we’ve analyzed one of our most popular, entry-level luxury vehicles (see Mercedes and Lexus posts here) with a competing economy class vehicle. For this series installment, that simply was not an option, because Volvo’s 2019 XC40 is a pioneer of a new Volvo standard, currently unmatched by economy manufacturers. 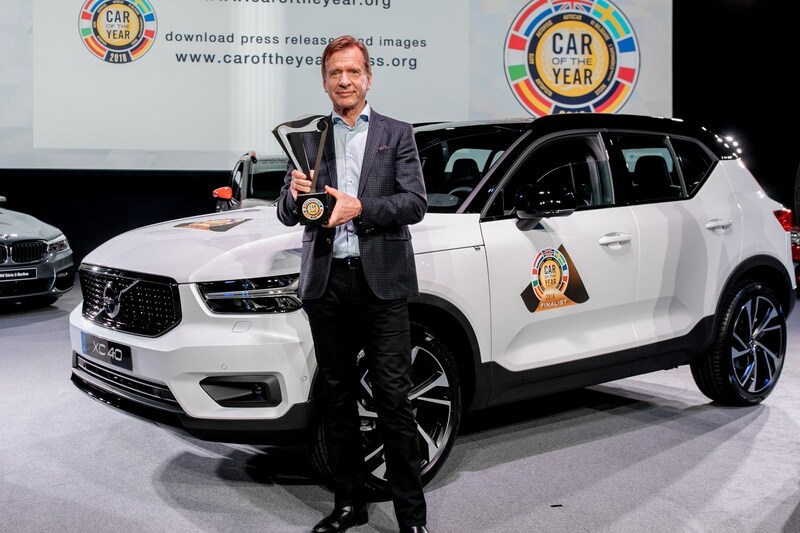 The highly anticipated and class-shattering 2019 Volvo XC40 has been named the 2018 European Car of the Year– a first for the premium manufacturer. The XC40’s newest accolade adds even more merit to an already successful line up of SUVs. Both the XC90 and XC60 were awarded the North American Truck/Utility of the Year title over the past two years, but it’s clear that the vision for the XC40 was anything but Volvo traditional in terms of design, availability, connectivity safety, and technology. Pre-Orders for this new model opened late 2018, and with orders in excess of 20,000, both the U.S. and European auto markets have taken-a-liking to this dynamic combination and modular design. If you’re in the market or could be tempted to enter the market, for a new sub-compact SUV, then let’s go ahead and look further into “Why Luxury” with the 2019 Volvo XC40. The 2019 Volvo XC40 comes equipped with a four-cylinder block no matter what engine you choose (diesel or turbo petrol). Starting at a base MSRP of $35,200, the XC40 comes standard with 47.2 cubic feet of cargo area, 9 allow wheel designs, a specially designed bike rack, and additional options to further customize your SUV. While you cannot expect this vehicle to perform the same as a Range Rover off-road or a low center of gravity, two-door on the racetrack, you can, however, expect a relaxing chassis and superior comfort throughout your entire road-cruise. In the event you do decide to take on some turbulent terrain, you can take advantage of their thick tire tread and adjust to an off-road calibration. Just as its larger and longer-bodied family member, the Volvo XC60 (arguably the safest car in the world), the 40 Series SUV comes equipped with a list of safety and driver assistance features including Volvo Cars’ Pilot Assist System, City Safety, Run-off-Road protection and mitigation, Cross-traffic alert with brake support and the 360 degree Camera that enhances maneuverability into tight park spots- a feature perfect for those moments when the only spot available is a seemingly impossible parallel parking job. Its interior aesthetics and space focused design is just as impressive as its compact yet pleasing exterior. You’ll find functional storage space, inductive charging, a hook for small bags, and a removable waste bin in the tunnel console. Functionality and innovation seamlessly converge with Volvo’s first ever car-sharing feature, enabled via Volvo’s digital key technology. Want to share your new XC40 with your mom, brother, aunt, uncle, daughter, or best friend? Owners can simply share their car with family and friends without the hassle of exchanging a physical key. 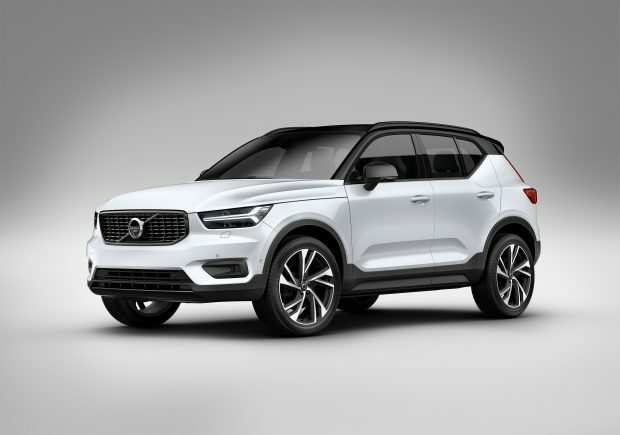 While we have just scratched the surface on the sub-compact SUV of the year, it’s clear that for a base price of $35,000, its sleek two-tone exterior, functional design, keyless technology, and superior safety features that Volvo is so well-known, make the Volvo XC40 a clear contender for anyone entering the luxury auto market. Head out to Park Place Volvo and our experts will be happy to assist you in finding the perfect vehicle for your needs so that you can experience the growing prestige of the Volvo badge.